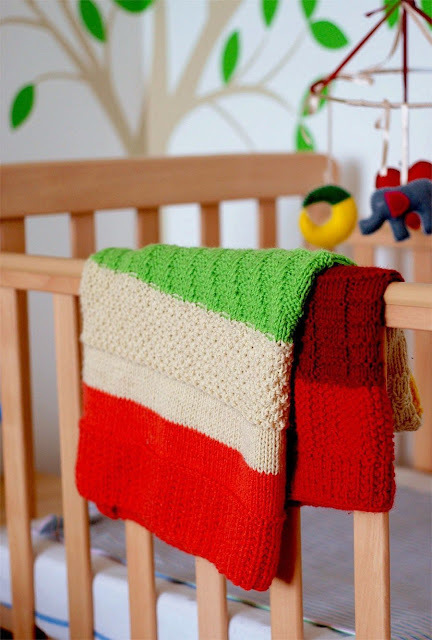 When I was pregnant I had an idea of knitting a baby blanket. After searching the Internet I was inspired by the simple yet very charming design of the Super Easy Baby Blanket by Purl bee. Here everything depends of color combination you use. Since the choice of yarn offered by Purl bee is not available in my region I bought Baby Wool by Gazzal (40 % Lana Merino, 20 % Cashmere Type Polyamide, 40 % Polyacryl). I also decided to interchange the garter stich with different stitch patterns to make the knitting process more interesting. Also I didn’t want to stick to the certain measurements and decided to make each color line as long as the yarn lenght is. That is why you can see that the color lines are slightly uneven. 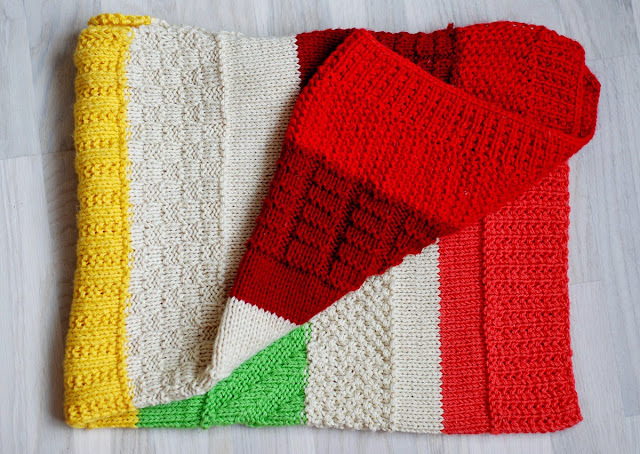 Choose 5 colors for your blanket and assign their order. Choose the size of your blanket and cast on the number of stitches with the yarn of the color #1, which correspond to your gauge ( In my case it were 114 stitches ). Note: Each pattern is bordered by one row of purl stitches for decorative purposes. As I have already mentioned, I intended to use all yarn without leaving any leftovers, that is why the pattern lines are all 5″ (12cm) long and the length of stockinette line slightly differs from color to color. Here are all the stitch patterns used in my baby blanket. Row 2 and all even rows: (WS) Knit the knit stitches and purl the purl stitches. Row 2 and all even rows: Knit the knit stitches and purl the purl stitches. After you are done – weave at the ends. My experiment turned out very well. I’m really happy with the color combination and how the blanket fits the nursery. It is rather lightweight and you can carry it along during your walks with the baby. This is really a beautiful blanket, I will try to knit it and I will let you know how it came. Thank you so much for the tutorial. Looks easy to do it. Let”s see. Beautiful Blanket to learn all of the stitches!! I want to use up my POUND OF LOVE YARN BY LION BRAND and I was wondering how many stitches to put on. It says to use Size 8 needles but I am a tight knitter. I never do a Swatch so I was just wondering. 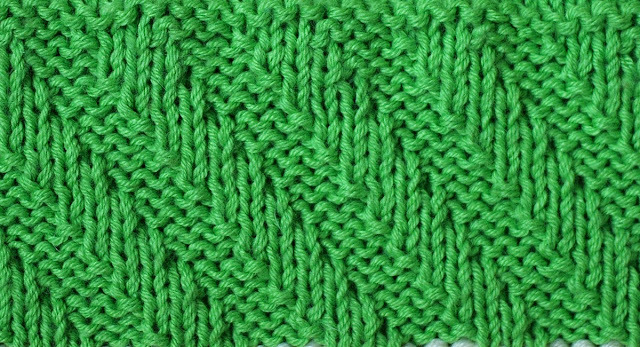 Pattern 6 – garter ridge rib. I cast on 114 stitches and have 2 stitches left when doing this pattern. Please advise. The other patterns have been fine. Thank you. The directions say chose 7 colors but the picture of the blanket looks like you have only 5 colors? Hello Beth! This is a mistake, the blanket indeed has only 5 colours. Thanks for noticing, I will fix it in the post. I also have the question re pattern 7 – seed stitch. Writing says “rows 1 to 4 form pattern”, what are the stitches for rows 3 and 4 please. Thank you so much. To create the seed stitch you k1, p1 to end of row. 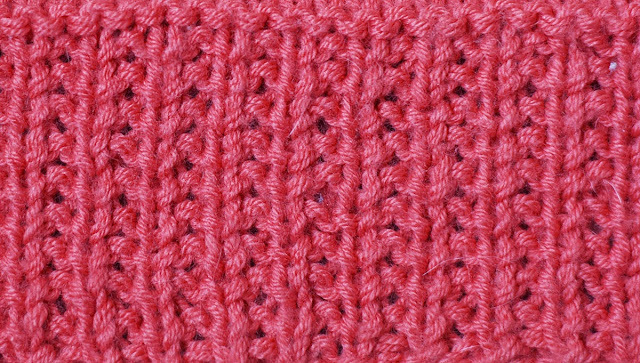 When you turn your work you will knit the purl stitches and then purl the knit stitches. Am I just going crazy, or did you not list how many stitches you cast on to begin with? I would like to know that, to have a guide to get started! Have a baby blanket to make for one of my BFFs Thanks! 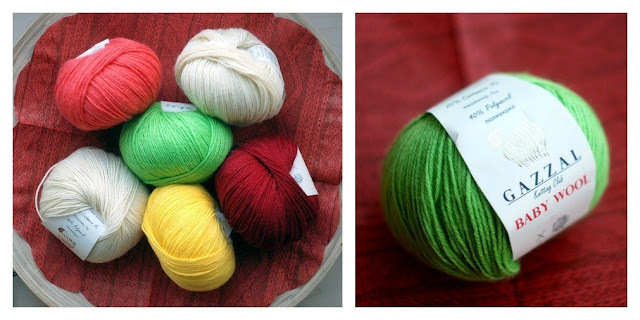 Where can I get the ghazal yarn? Gazzal Yarn is made in Turkey, I tried to google it, but couldn’t find the retailer in the US. I suggest you using any other baby wool yarn. Can I just double the number of stitches to do an Afghan? 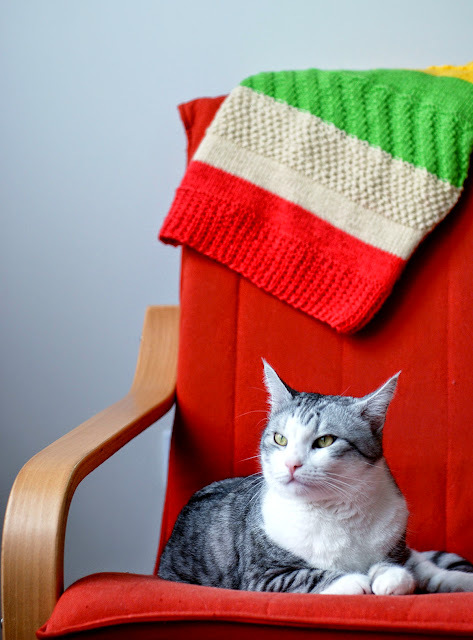 we knitted a blanket like this for a lady in our knitting class. 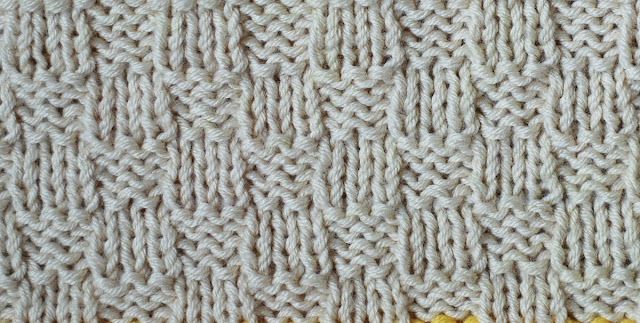 We used the same color yarn, but each of us knitted a stitch we liked for approx 8″ and passed it to the next one so they could knit, it turned out great and we all made it and didn’t have to sew the swatches together if we would have made them all seperately. 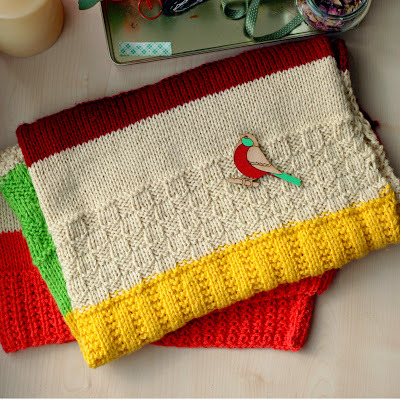 Hi this pattern is lovely, I’ve a quick question before I embark on it though…I’m wondering with all the different sections is there an issue achieving an even width of the blanket?